Chemio is an excellent app that provides students with the most necessary chemical references in one neat interactive periodic table. Chemio is free today and only for a limited period (its regular price is $1,99). 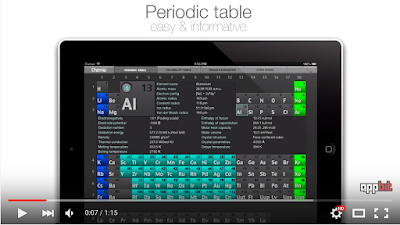 Besides the interactive periodic table, Chemio also provides a solubility table, molar mass calculator and the 3D widget for designing electron configuration of atom. 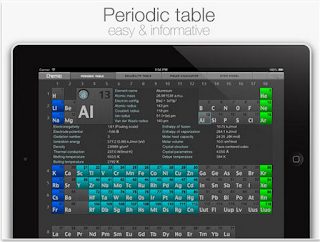 Using Chemio, students will be able to easily access basic information about any chemical element by a single tap. They can learn about the element’s density, its atomic mass, molar volume, electron configuration and many more. Being an interactive chemical reference, Chemio provides a set of useful instruments which allows students to perform quick searches and calculations.